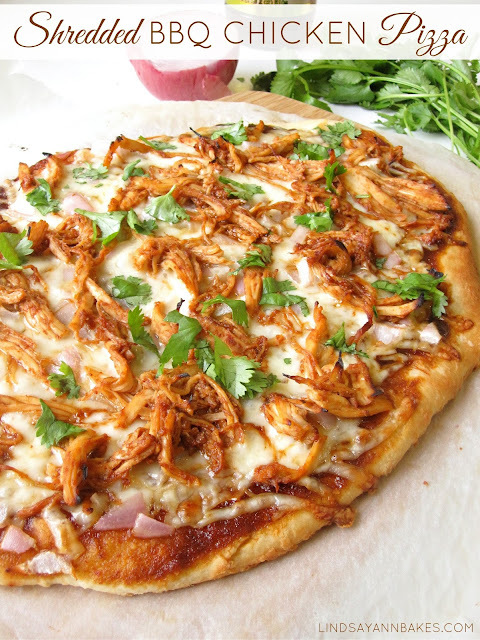 Whenever I go out for pizza, the BBQ chicken is my go-to, every time, so I just had to recreate it at home, and let me tell you... this homemade version is sooo much better. 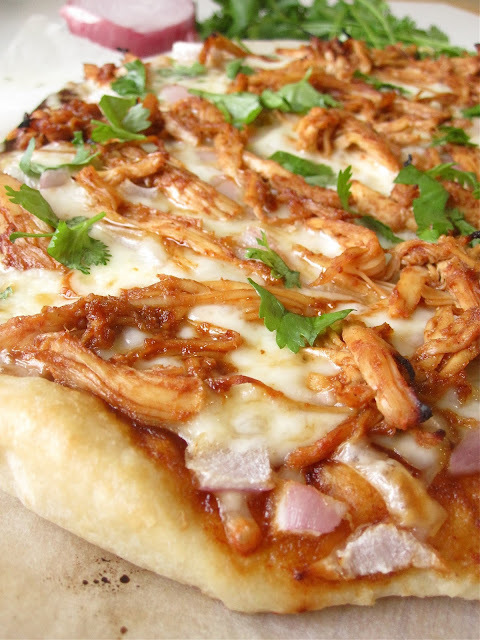 This recipe uses my absolute favorite shredded bbq chicken as the topping, which cooks up on the stovetop until it is so juicy and tender it practically falls apart in the pot, to absorb all the zesty bbq saucy goodness. 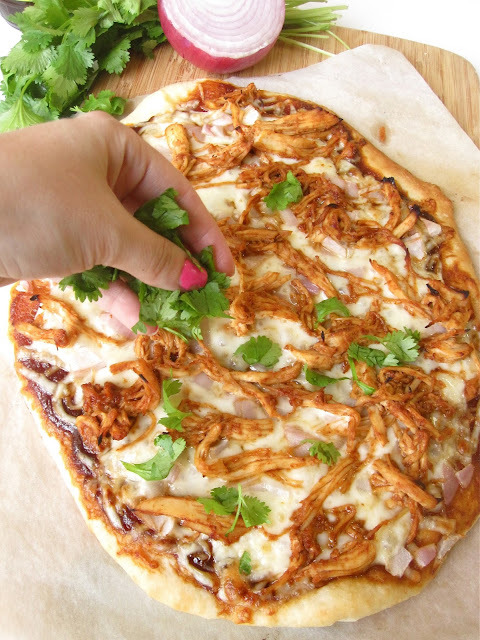 Just like my Mexican shredded chicken this bbq chicken does all the work right on the stove top so it couldn't be easier to create the most perfectly moist, flavorful, self-saucing bbq style chicken, which is the star of the pizza. 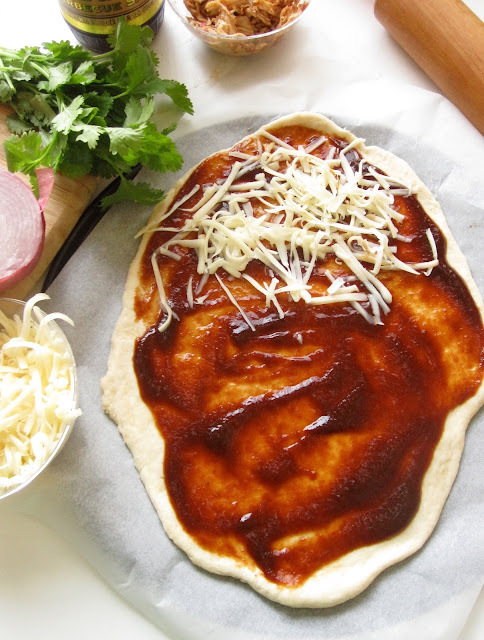 I love the fancy, rustic shape of a homemade pizza. Something about them makes it feel so "gourmet", compared to a regular ol' round pizza. Just spread on some BBQ sauce to start. And top it off with the chicken, and onion. 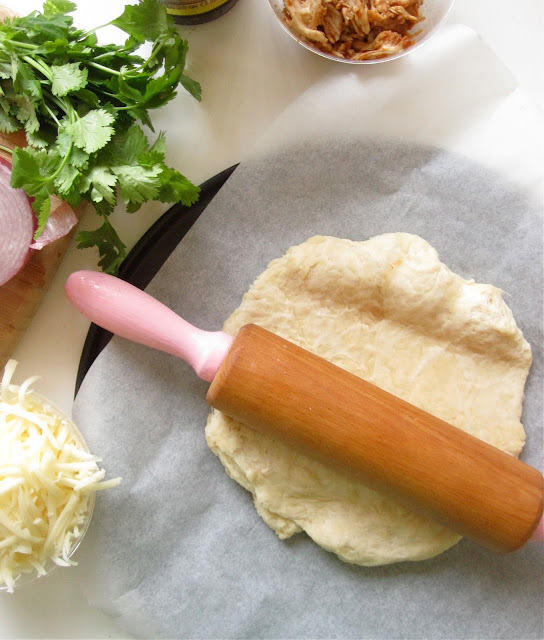 Bake, and garnish with fresh cilantro. Add all ingredients to a large pot. If chicken is not covered completely, add water or chicken broth to cover chicken completely. Bring everything to a boil over medium heat in a large pot. Reduce heat, and simmer uncovered for about 45 minutes, flipping chicken and scraping the bottom of the pot occasionally. Shred chicken in the pot by poking at it with a wooden spoon or using 2 forks, allowing it to absorb the remaining liquid in the pot. Let cool. 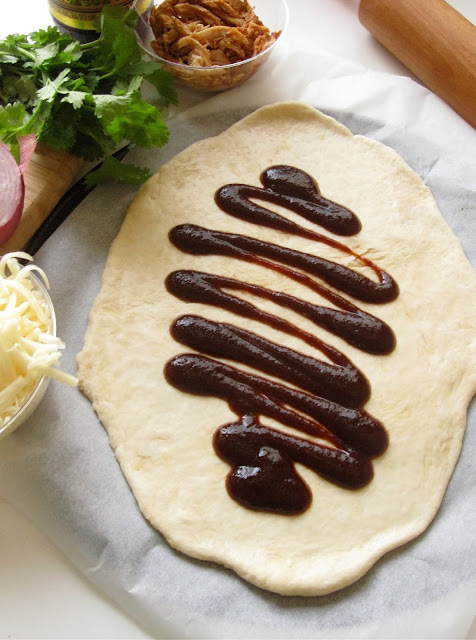 Preheat oven to 475° F. Spread barbecue sauce on the pizza crust. 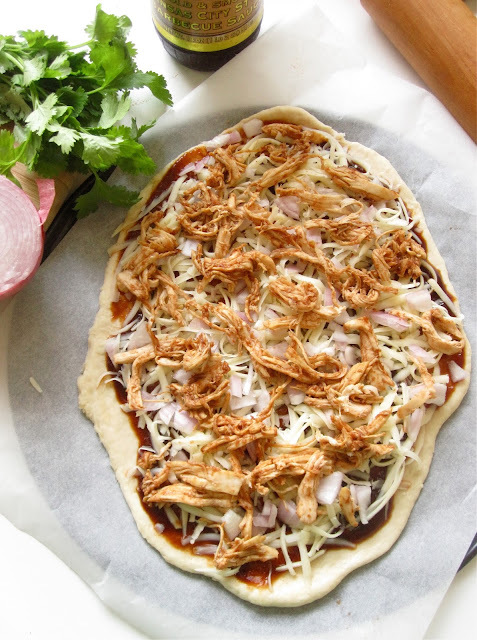 Layer on the cheeses, bbq shredded chicken, and onion. 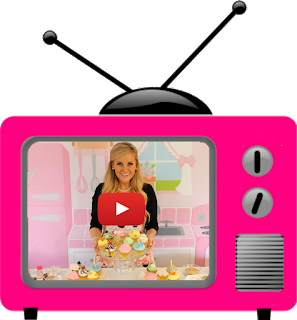 Bake for about 8-12 minutes on a parchment lined baking sheet or pizza stone. Garnish with chopped cilantro.